Oceana is a 175-seat open air restaurant with ocean views right next to the Inn at Villa Olga. The view from the bar and dining terrace sees the lights of the cruise ships leaving port at sunset, small boats speeding here and there, ferries to the British Virgin Islands coming and going, and the sea planes whizzing through the cut, to splash down in the harbor. For more info visit their Website at the link below. 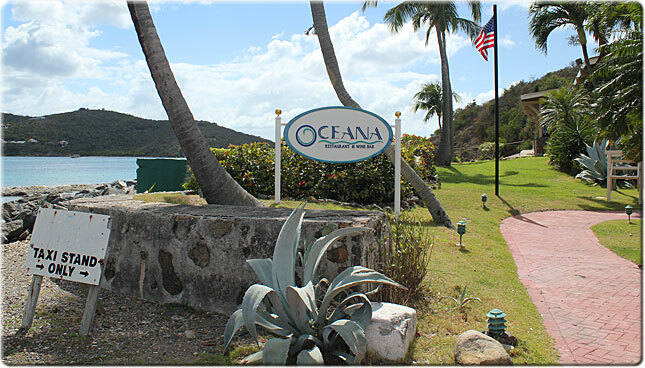 To see more images go to our images page or go directly to the Oceana Gallery.